"In my touring I have come across Veterans all over this country and have seen these smaller organizations, often run by Vets, working in their communities doing a lot of good, " Walsh explained. "One of the main reasons I am launching VetsAid is to not only reward the well-established charity groups doing good works, some of which we have been able to contribute to and listed above, but also to recognize and support these modest ones who are in the trenches and for whom a little money can go a long way!" 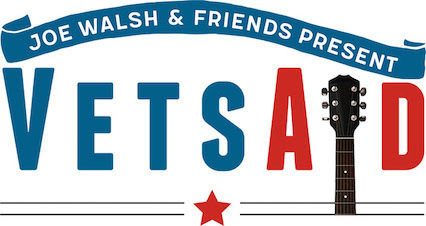 About Vets Aid: VetsAid is a national 501(c)3 non-profit organization started by rock legend Joe Walsh to raise and disperse sorely needed funds to veterans groups across the country that are helping the men and women who served our country, as well as their families, and showing them the dignity, compassion and honor they deserve.